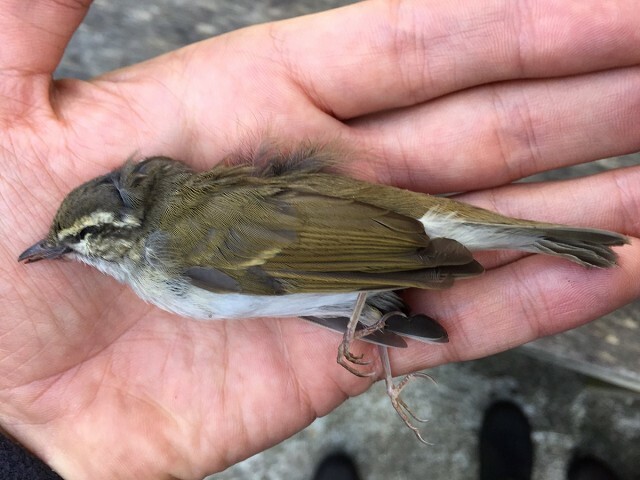 On Friday 21 October a freshly dead Phylloscopus warbler was handed to Laurence Pitcher on St Agnes, Isles of Scilly. The bird had been found dead in the lighthouse garden, beneath the conservatory window, evidently suggesting a collision. Handed to Laurence as a Yellow-browed Warbler, he quickly realised it wasn't that species and in fact something more interesting. Posting shots on Twitter and mooting the bird as possibly an Arctic Warbler, it wasn't long before others noticed the rather short, deep and stubby bill and darker greyish-toned cap which suggested that this was in fact either a Pale-legged or Sakhalin Leaf Warbler, a species pair extremely difficult (if not impossible) to identify on field views alone. 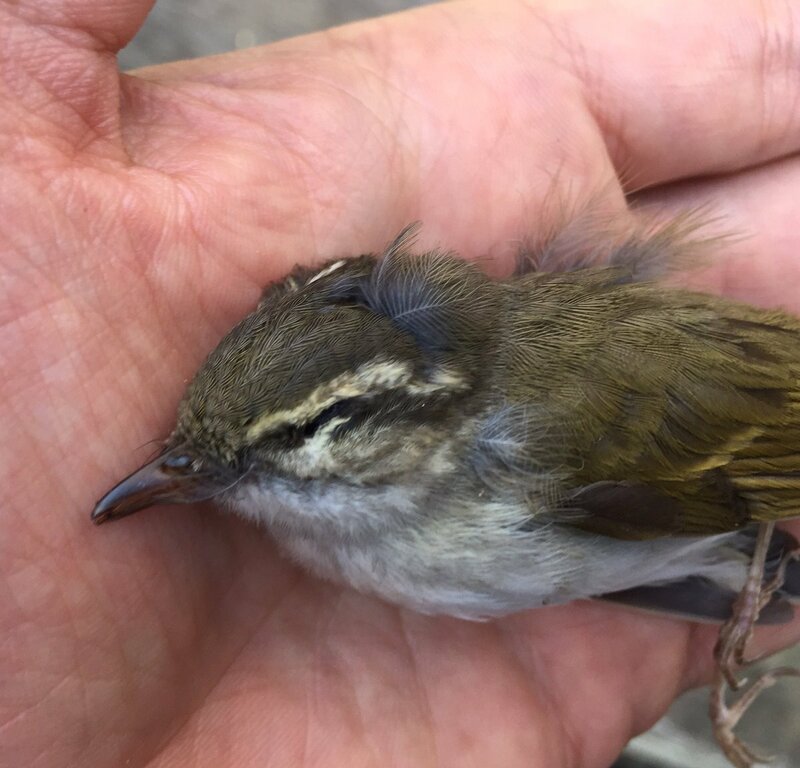 There is one previous British (and Western Palearctic) record of Pale-legged/Sakhalin Leaf Warbler — a bird in a private garden at Southwell on the Isle of Portland, Dorset, on 22 October 2012. 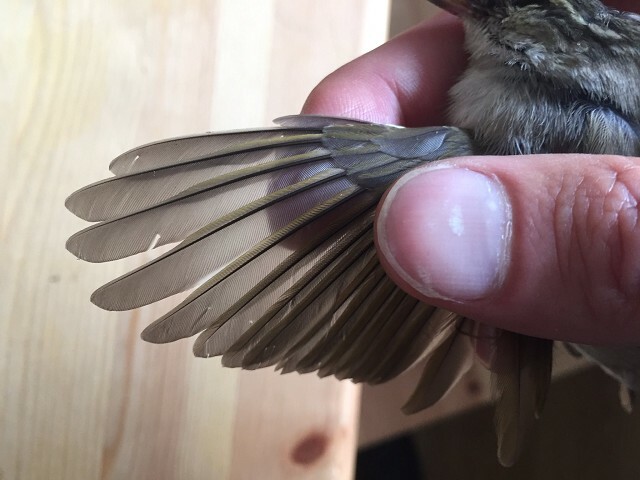 As this bird was not trapped (to allow for a DNA sample to be obtained) and the description of its call was inconclusive, its identification was never confirmed beyond being one of the species pair. Given that the St Agnes bird has been found dead, it should be possible to determine its identification beyond doubt through DNA analysis. Therefore, whether this bird transpires to be either Pale-legged or Sakhalin Leaf, it will represent the first confirmed record of either for Britain and the Western Palearctic. 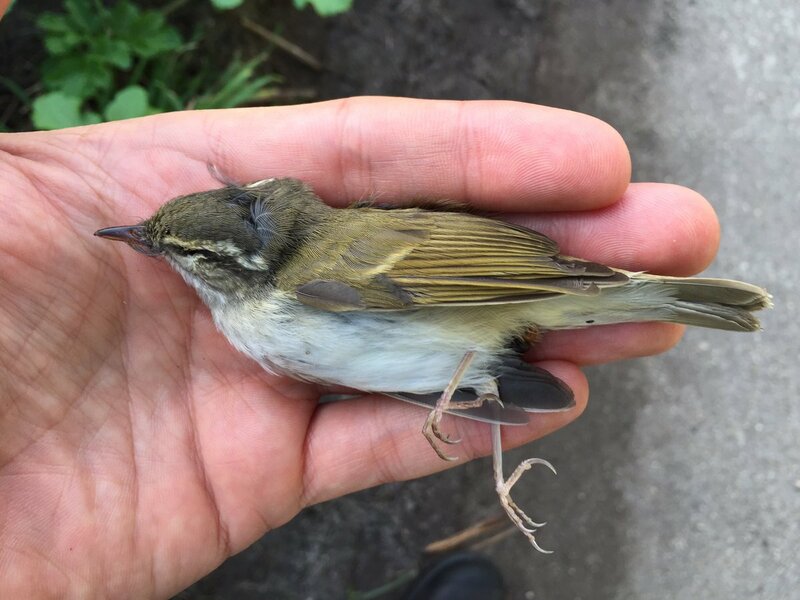 UPDATE 23 February 2017: following DNA analysis conducted by Dr Martin Collinson, the St Agnes leaf warbler has been confirmed as the Western Palearctic's first Pale-legged Leaf Warbler.